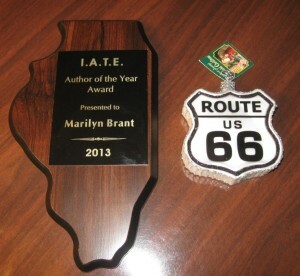 Marilyn was honored to be named Author of the Year by the Illinois Association of Teachers of English (2013). Many thanks to B&N General Fiction Book Club Moderator Deb Haupt for selecting THE ROAD TO YOU as one of her Top 20 Novels of 2013! A HUGE thanks to everyone at Austenprose for choosing PRIDE, PREJUDICE AND THE PERFECT MATCH as the #1 Austenesque Contemporary Novel in their Top Austen-Inspired Books of 2013 List!! I’m thrilled! The three novels that comprise The Sweet Temptations Collection (On Any Given Sundae, Double Dipping, and Holiday Man) hit the USA TODAY Bestseller List in September 2013! 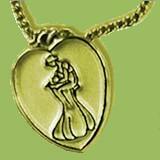 Marilyn’s debut novel, According to Jane, was the winner of RWA’s Golden Heart Award for Best Novel with Strong Romantic Elements (2007). A fabulous 5 Regency Star rating from Laurel Ann at Austenprose: “What an unexpected, uplifting, and urbane debut novel! To paraphrase Jane Austen’s character Lady Catherine, Marilyn Brant has given us a treasure. Granted that there are hundreds of Jane Austen inspired novels written over the years, this totally unique and original concept of Austen’s ghost inhabiting and advising a modern young woman is brilliant. The play of early nineteenth-century social mores against twentieth-century culture is so droll that I laughed-out-loud several times in total recognition. Like Austen, Brant excels at characterization offering a heroine in Ellie Barnett that I could totally identify with, and a hero in Sam that is so endearingly flawed that any woman worthy of her worn out VHS copy of the 1995 Pride and Prejudice miniseries will be happy to swoon over. Subtly powerful and amusingly acerbic, you will be gently reproved into agreeing in the power of love to transform us all.” A reprint of Laurel Ann’s wonderful 5 Star review is posted in The Jane Austen Centre’s online magazine! And many thanks to Buzzle.com for including ACCORDING TO JANE on their list of the 100 Best Romance Novels of All Time!